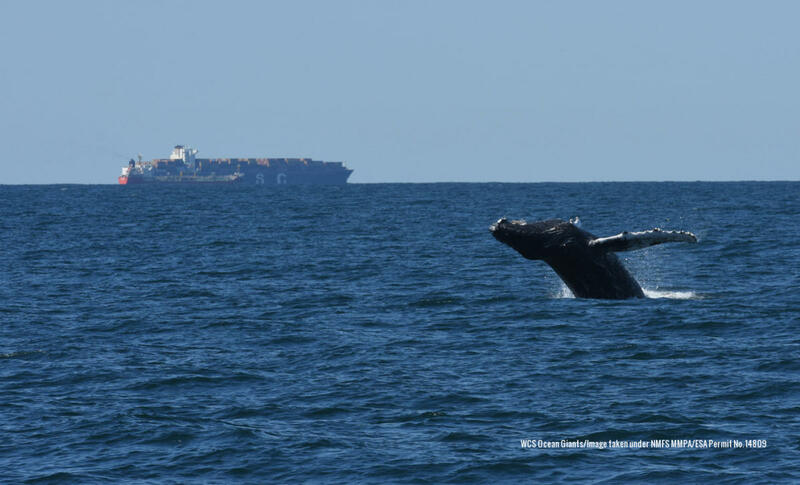 WCS marine scientists surveying the waters of the New York Bight for marine mammals and other species are enjoying a banner year. 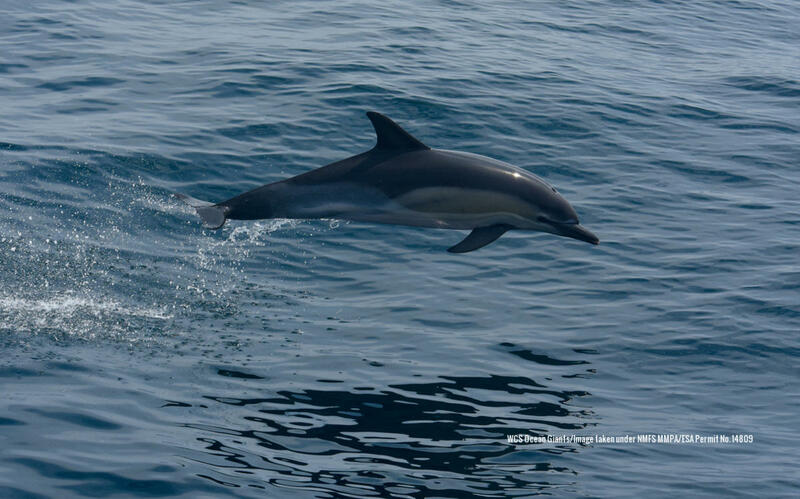 So far, they've encountered a wide array of marine life in the waters just beyond New York City, including three different whale species (fin, humpback, and minke whales), hundreds of dolphins, sea turtles, pelagic birds, sharks, ocean sunfish, and others. 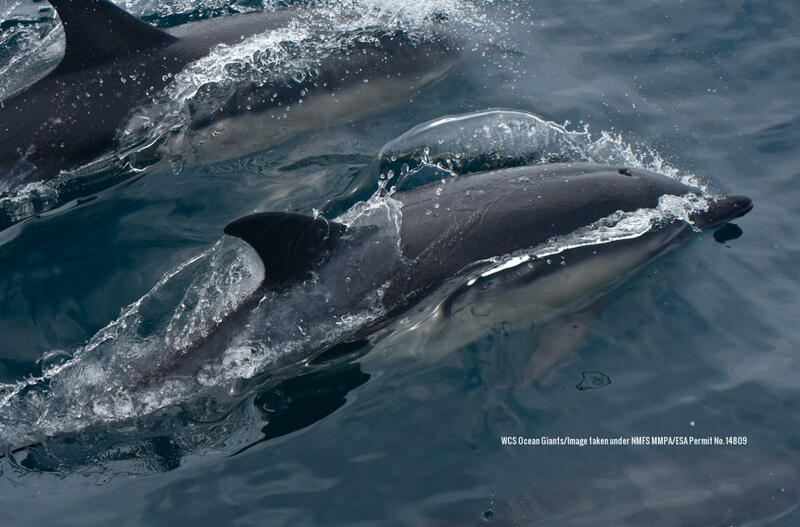 These research efforts are coordinated through the New York Seascape Program, a local marine conservation program based at WCS’s New York Aquarium. Lucky for us, the team has captured much of their good fortune on camera. 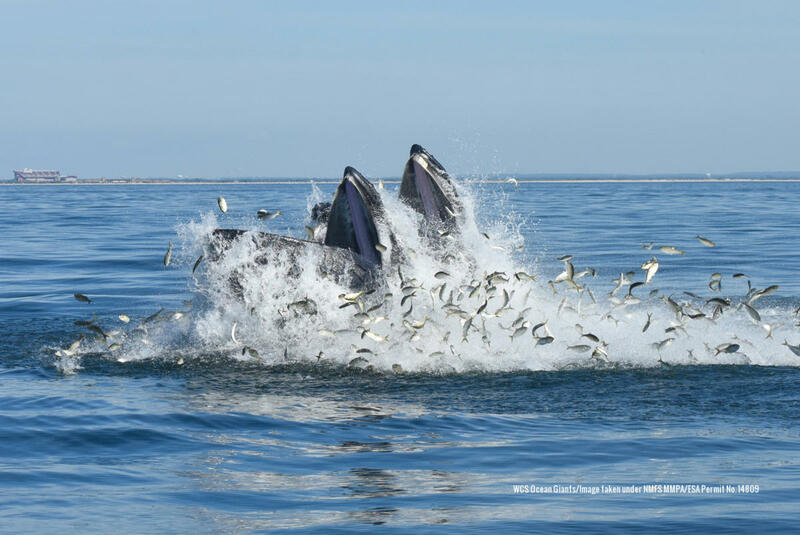 Two humpback whales engaging in what is known as lunge-feeding, a feeding strategy in which these baleen whales speed to the surface and engulf schooling fish such as menhaden. 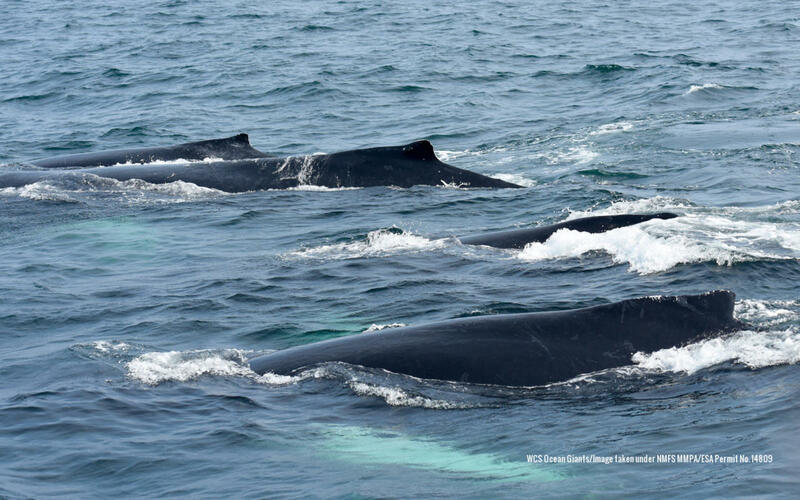 A group of humpback whales in what is termed a competitive pod, where males or “bulls” jockey for position in an attempt to mate with a female individual or “cow.” This behavior is noteworthy in New York Bight because it is usually associated with winter breeding grounds farther south. 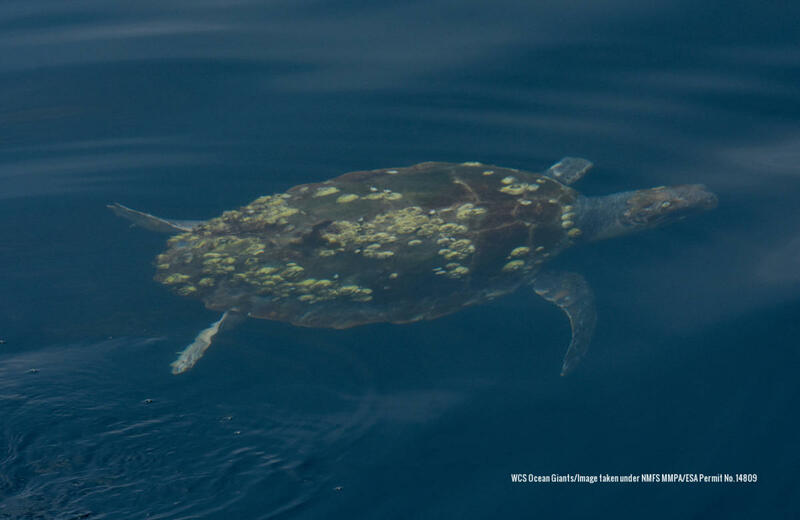 A Kemp’s ridley sea turtle, one of the few sea turtle species found off the northeastern coast of the United States. 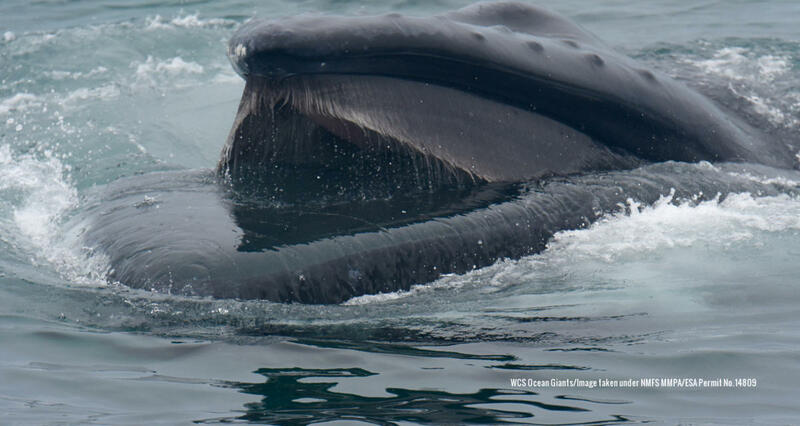 A feeding humpback whale reveals its baleen, brush-like structures made of keratin (the same material that forms human hair and fingernails) that are used to filter small organisms such as krill and small fish out of the sea water. Sign up for WCS news and we'll keep you updated on the latest from the field.